Lung cancer. 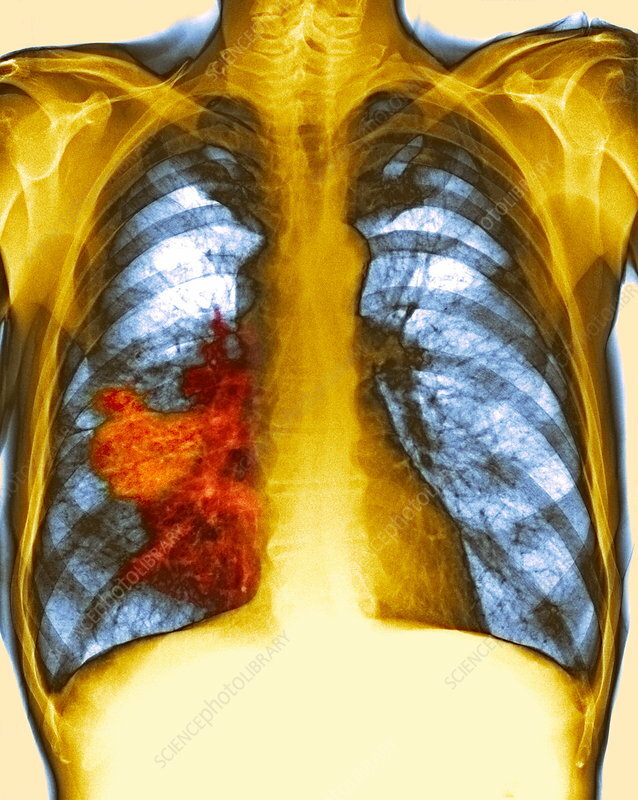 Coloured chest X-ray showing a large tumour (red) due to lung cancer in the middle lobe of the right lung. This form of cancer is also known as bronchial carcinoma. Lung cancers are most often caused by cigarette smoking, exposure to asbestos, or other forms of pollution. Treatment includes radiotherapy, chemotherapy, and the surgical removal of all or part of the affected lung.